Happy Holidays Maharanis! Can you believe it is already the second week of December? 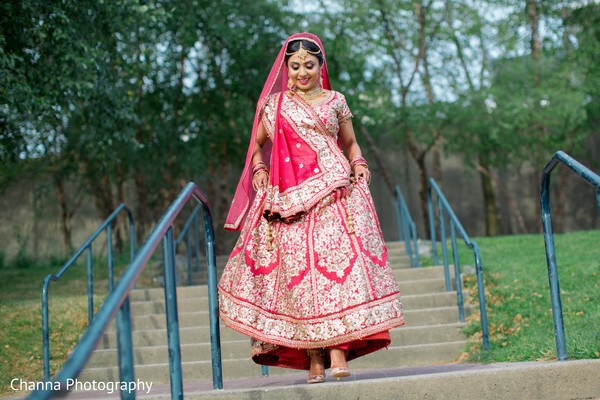 Today, we bring you a visual treat out of the historical state of Connecticut for Maharani Reena’s lively wedding gathering! But first, coffee! 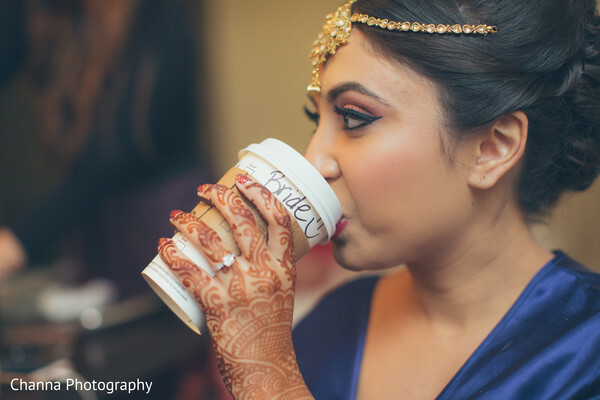 Our bride Reena took a seat and sipped on some Bucks while Sonia C. dolled her up for her Indian wedding ceremony at the Marriott Hartford Downtown. 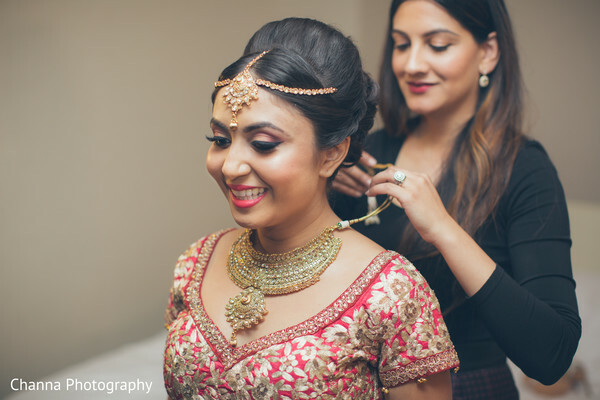 The bride donned a large gold tikka headpiece with a regal inspired choker and earring set that was a perfect combination with fuss free eye-makeup and a harmonious (yet subtle) red stained lips. 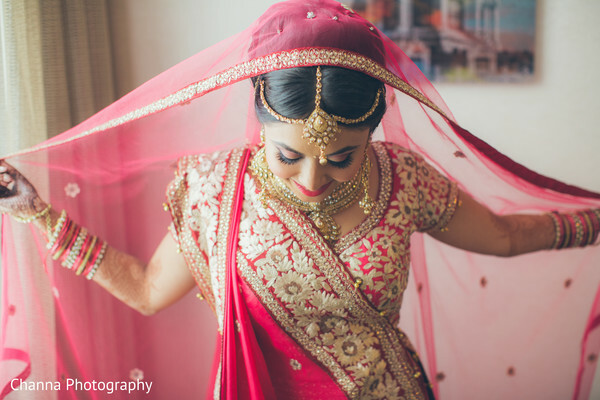 One of my favorite aspects on the styling and draping of Reena’s Rani pink lengha with gold brocade design, was how elegantly each moving part of her outfit flowed. 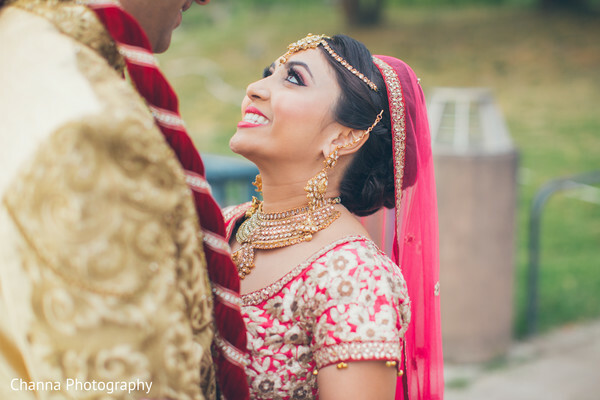 Not to mention how the bride’s pleated dupatta cascaded down effortlessly off her perfectly placed coiffed bun! 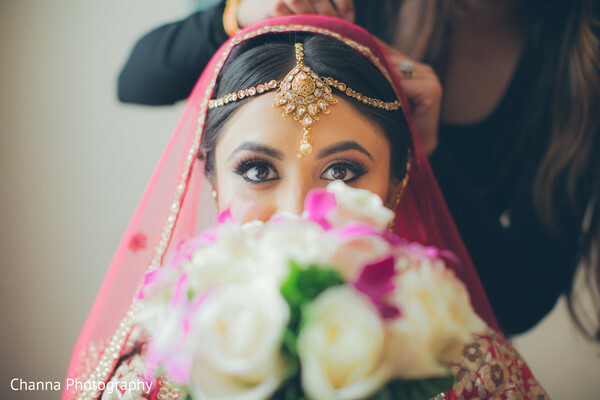 Planning and design was synched to perfection by Ring to Aisle Events with Rangoli Weddings blowing us away with their talented floral and decor team. Head into the gallery for a plethora of images caught by Channa Photography who doubled teamed the event and filmed the cinematic journey as well. 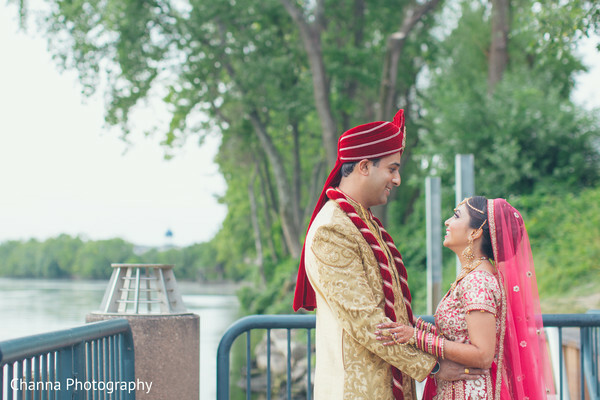 Reception at the Marriott Hartford Downtown is coming right up! We shall see you then!